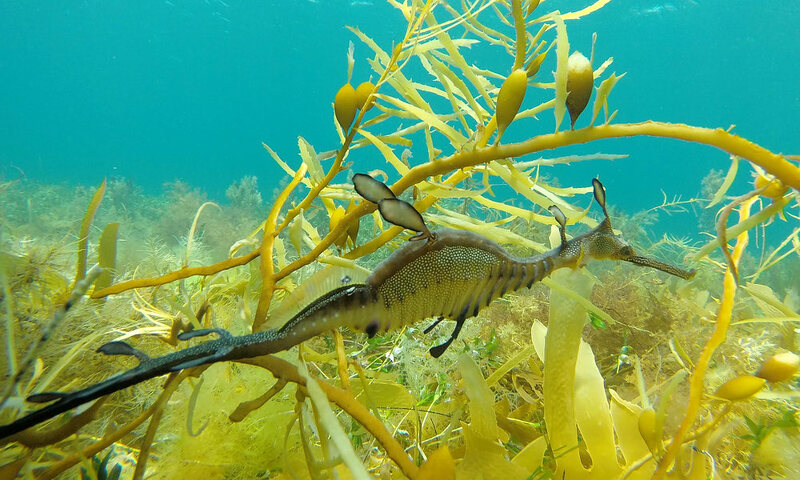 April 2019 school holiday discovery activities: book tickets here! The SGCS Home Education program for Term 2 is now available. The Environment Centre provides leaflets and guides on local attractions and amusements. For children we have free hands-on activities in the Discovery Room, while adults can browse for books or gifts in the shop. The Centre also houses the famous Shell Museum. Entry is $2 per person, children under 5 free, and funds go to maintaining the museum. Don't know what to do with the kids on a rainy or not-so-rainy day? Here's a list of local walks, playgrounds, games, displays and more, all for free. THANK YOU everyone who voted for this great project! 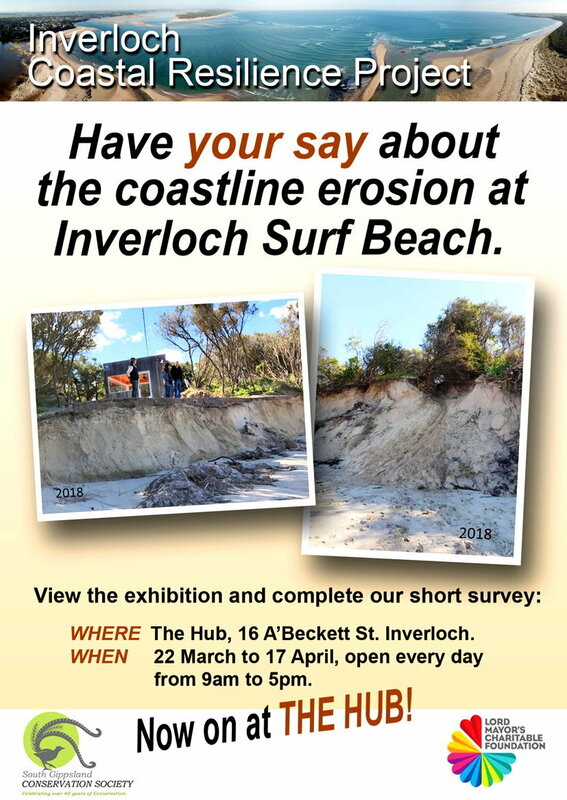 Click to see the ICRP project posters here and complete the survey! 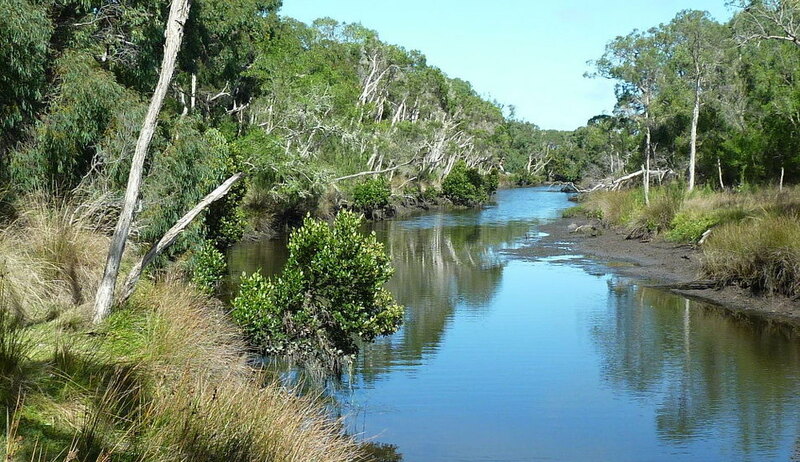 South Gippsland Conservation Society is a not-for-profit organisation founded in 1976. It aims to promote and preserve South Gippsland's natural resources. 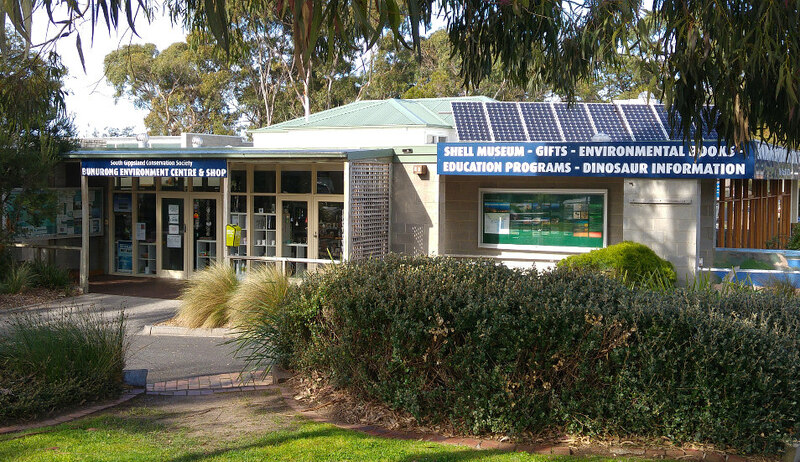 SGCS also runs the Bunurong Environment Centre shop and Shell Museum, and Bunurong Coast Education, which offers award-winning education and activities for children and adults. Join us! Find out more about our projects and branches, see our affiliates and supporters, and read some useful links. SGCS is a Child Safe organisation: see our Child Safety Code. 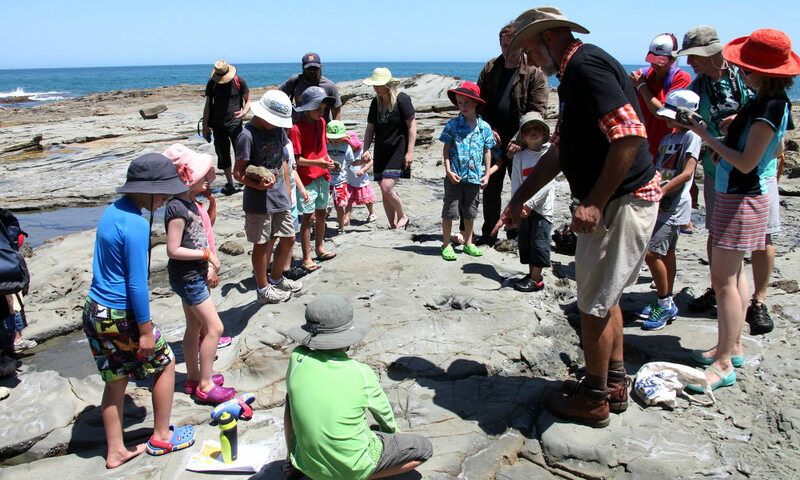 Bunurong Coast Education offers talks, guided tours and outdoor excursions for children and adults in the holidays and on some weekends. Program - April School Holiday Discovery Activities. Book tickets here! 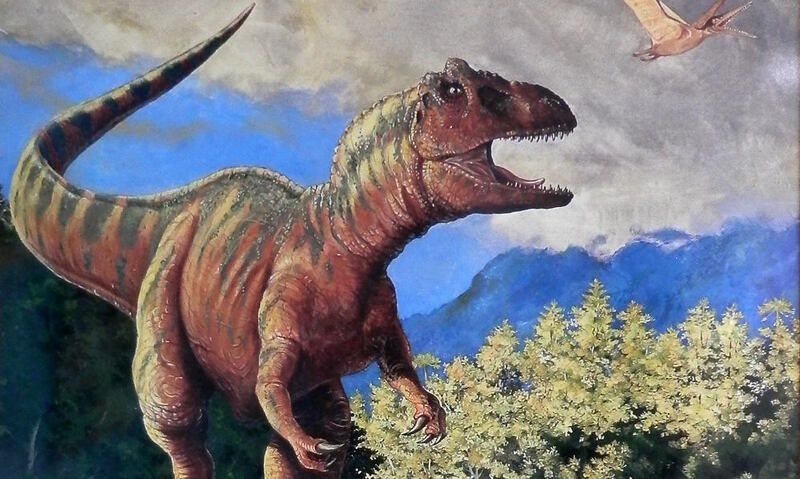 Book home education activities online: dinosaur discovery, astronomy, coastal geography, plant and animal identification. Book discovery activities online: visit the famous dinosaur dig site, go rockpooling, stargazing, wildlife spotlighting and more. Contact us to plan a talk or excursion tailored to your curriculum or interests. 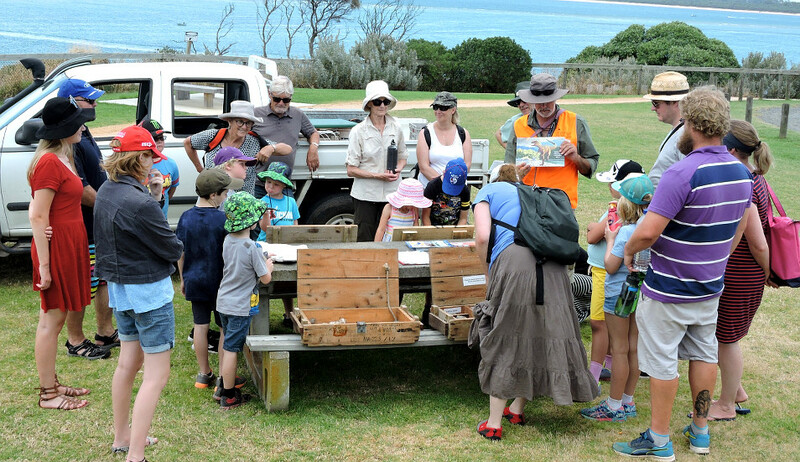 See our Programs on climate, coasts, woodlands, rockpooling and dinosaur discovery. Attend free talks on environmental issues or take part in tree plantings and working bees. We're right in the heart of Inverloch, corner of Ramsey Boulevard and The Esplanade, and we're open 10 am to 4 pm every day except Tuesdays. Dec-Jan holidays: open 10 am to 5 pm every day. Also Boxing Day and New Year's Day. The Environment Centre provides leaflets and guides on local attractions and amusements. For children we have free hands-on activities in the Discovery Room, while adults can browse for books or gifts in the shop. The Centre also houses the famous Shell Museum. Entry is $2 per person, children under 5 free, and funds go to maintaining the museum.